The Sports Office is delighted to have reached an agreement with the Irish Rugby Football Union (IRFU) to supply a Performance Management system for use by all of Irish rugby’s high-performance representative teams. All four Provinces and National teams will benefit from ‘The Rugby Squad’, The Sports Office’s bespoke system for elite rugby organisations. Both men’s and women’s senior teams, plus all age group squads will be managed together in one centralised hub. The full ‘Rugby Squad’ system includes modules to support coaching, sports science, medicine, finance, admin and scouting. IRFU video and performance analysis staff will also be able to combine their work with other departments to maximise the potential of all players within Irish rugby’s elite player pathway. The Rugby Squad allows effective monitoring and management of every player’s training load plus their coaching minutes and wellbeing. It also enables the creation of Individual Development plans for each player and the ongoing monitoring of these. This will enhance player tracking and development of all IRFU teams. The newly released Sports Office App will assist all users, including staff and players in managing their own schedules, development and wellbeing. Communication between provincial and national staff and athletes are enhanced with instant messaging functionality and documents. The IRFU will also use ‘The Rugby Squad’ to support talent identification and to also plan for the future with the system’s detailed view of available playing resources. The Sports Office Senior Client Support Manager Stuart Jones commented: “The IRFU recognise that player development throughout the academy to on the pitch performance is the most important thing. They have chosen our system to provide the framework to support every department in reaching their full potential. Many elite rugby organisations throughout the world are among The Sports Office’s varied client base. These include governing bodies such as Argentina Rugby Union, teams in the SANZAR Super Rugby competition and the Australian NRL. The Rugby Squad users also include clubs in the UK’s Rugby League Super League and teams in Major League Rugby. The full system implementation of ‘The Rugby Squad’ will begin in March 2019. The Sports Office are excited to announce that Argentina Rugby Union (UAR) is the latest major nation to choose our performance management system for elite rugby. The UAR will use ‘The Rugby Squad’ system throughout their structures, including the Argentina national team ‘Los Pumas’. They are 10th in the World Rugby rankings currently and compete in the Rugby Championship. The Union’s Super Rugby team, Los Jaguares, will also use ‘The Rugby Squad’ to maximise the potential of their players. Teams in Argentina’s semi-professional and amateur competitions will also benefit from the system. High-performance rugby centres throughout the country will also be using the same platform as a centralised system. Stuart Jones and Chris Tuson from The Sports Office Client Management team recently visited Buenos Aires to help UAR staff launch and implement the system. Jones added: “The trip to Buenos Aires was a great success and we met with each department to help implement the system across the organisation. The implementation of the system within UAR structures consisted of full training days for staff in coaching, sports medicine, sports science and administration departments. Staff from the organisation’s high-performance centres also met with the Client Management team. One element of the UAR’s use of The Rugby Squad system will be to improve scheduling. This will enable players from across a geographically large nation to attend training without timing conflicts. Improving sports medicine, sports science testing and data collection are also areas to benefit. The Sports Office CEO, Phil Clarke and Client Managers Stephen Young and Dan Jackson recently met with Los Pumas coaching and management staff in Dublin, prior to their Autumn International against Ireland. They met with all national team medical, coaching and performance staff including Alex Ross and Lucas Chioccarelli. The Client Managers went to ensure all Argentina player profiles were properly set up on the system. Specific injury fields and scheduling were also set up for the rest of the season. Many elite rugby organisations throughout the world are among The Sports Office’s varied client base. These include governing bodies, teams in the SANZAR Super Rugby competition and the Australian NRL. Also, clubs in the UK’s Rugby League Super League and now in Major League Rugby over in USA. If your organisation needs a centralised system allowing all departments to share data and information, contact The Sports Office now. 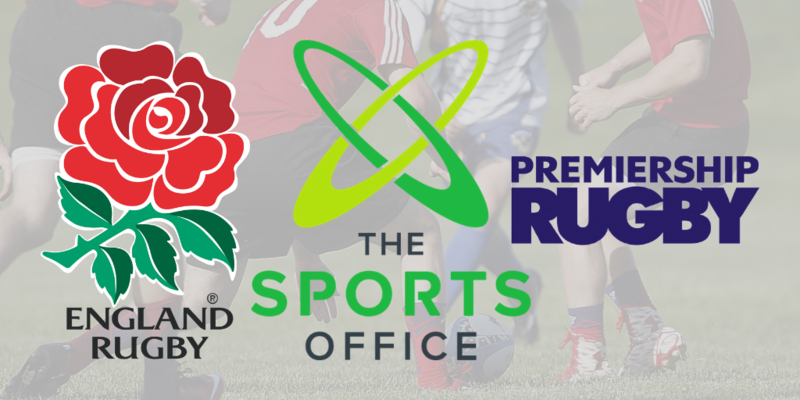 The Sports Office has enhanced its work with the RFU and Premier Rugby to support their world-renowned player welfare and safety programme in elite rugby. Prior to the current season, the Sports Office Client Management team visited every Gallagher Premiership club. They met with medical staff to share best practice in injury surveillance and medical monitoring; when using the company’s rugby-specific performance management system, The Rugby Squad. They also offered additional advice about using the system for many other aspects of performance, preparation and athlete monitoring. The team met with new members of staff at each club. A written Practitioner Guide and a series of guidance videos have also been produced. These show how best to use The Rugby Squad systems in this specific injury surveillance area. They will also ensure new staff are able to support all processes within the Professional Rugby Injury Surveillance Project. Andy Gorski, Head of Client Services at The Sports Office, commented: “Our visits to clubs in the Gallagher Premiership provided a fantastic opportunity to contribute more to this important injury surveillance and player welfare programme. The long-term Professional Rugby Injury Surveillance Project has been possible due to the bespoke performance management system, developed by The Sports Office. The study is set to improve professional player welfare and is the most comprehensive of its type. The Sports Office worked with senior medical staff at the RFU to develop a system which allows sports medicine and coaching personnel at clubs and national teams to easily input an extensive range of medical and performance data. The system then supports extensive analysis of this. This includes sharing management information, the creation of detailed medical reports and baseline data to identify patterns and trends in injuries, via comparison with previous seasons. The RFU, Premier Rugby and the Rugby Players Association originally commissioned the Professional Rugby Injury Surveillance project in 2002 as joint creation. It monitors player injury risk in Premiership, European club and international competition, as well as in training. The Sports Office provides online performance management systems for elite sport, which offer a range of functionality. The systems support key performance processes including athlete monitoring and training load management. Also, injury prevention, sports science, sports medicine, administration, coaching and sports analytics. Many elite rugby organisations throughout the world are among the company’s varied client base. These include governing bodies, teams in the SANZAR Super Rugby competition, the Australian NRL and clubs in the UK’s Rugby League Super League.